The DFS Titan Chemical Distribution Unit is engineered to transfer chemicals from each interchangeable drum to the on-line 340 Liter PTFM lined day tank. The Titan has process control systems that maintain a continuous pressure controlled supply of chemical to the production areas. 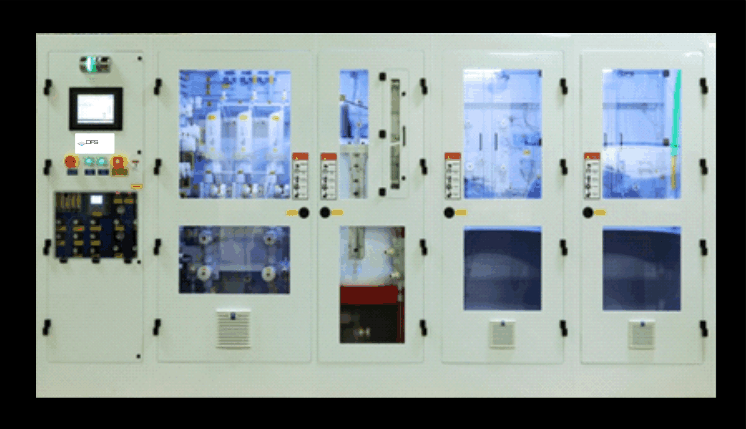 The system utilizes redundant centrifugal pumps and automated close loop pressure control with pressure and flow monitoring.